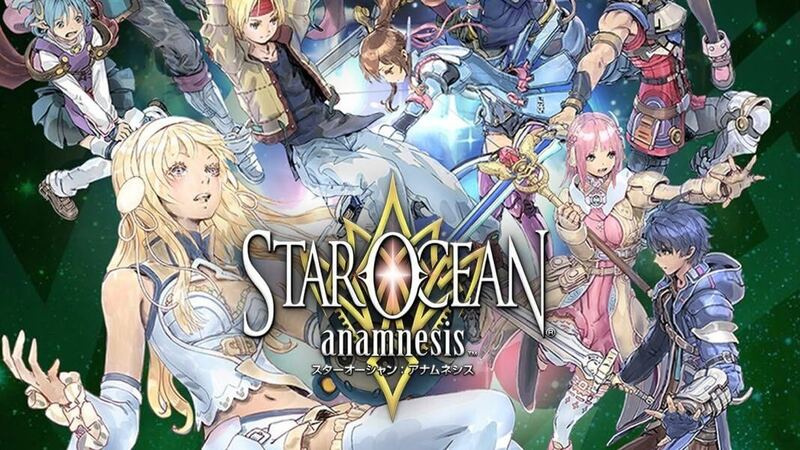 This is the complete beginner guides & frequently asked questions for any new players of Star Ocean: Anamnesis. A must-read guide for all. 1. What characters should I roll for? Who is good in this game? 2. I don’t like what I got on my account. How do I reroll? 3. Is it worth it to roll for weapons? What weapons should I roll for? 4. I have these items called “Tickets.” What are tickets and how do they work? 5. What are the differences between 5-star and 5-star ACE units? 6. What increases my character’s stats? 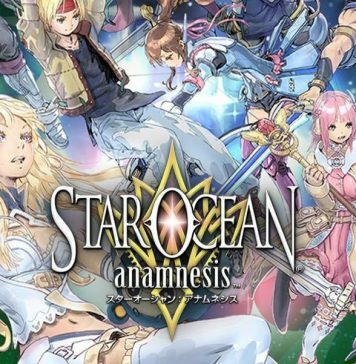 What is Augmenting/Limit Break/Starseeds? 1. What is the On Loan function? How do I change my On Loan character? 2. How do I back up my data? 4. When does Daily/Weekly Reset happen? 5. What are all the Starter Missions? 6. What are Barrier Breakers? How do I get them? 7. How do I get gems in this game? 8. How do I teach my character more skills? 9. How do I Uncap or “Limit Break” a weapon or accessory? 10. What is Transmute? How do I Transmute a weapon? 11. How can I see who I follow? How about who follows me? 1. How does Multiplayer work in this game? 1. What is Cancel Bonus and how does it work? 2. What is Rush Mode? 4. How do I dodge? 5. What is Charge Assault? 6. What is Element Burst? 7. What do all the negative status effects inflicted by enemies do? 8. What are Surprise Battles? 1. Where do I farm weapons/farm Small Limit Break Stones/grind for rank? 3. -insert banner/character- was in the JP version. 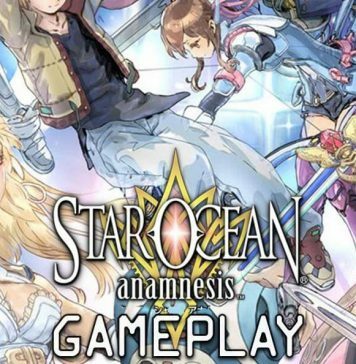 When are we getting -insert banner/character-? 4. What items in the Event Item Exchange should I be going for? 5. What is the “Upgrade a Weapon” Weekly Achievement? 6. Should I get the Event Weapons from Item Exchange? 9. What are all the different enemy races? 1a.) 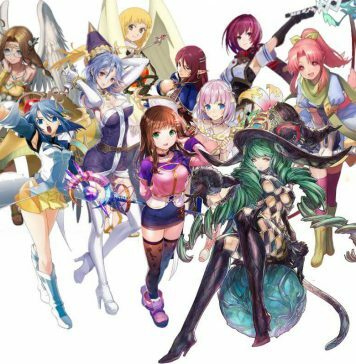 The only characters you should truly save gems and roll for are characters that are your favorite or who look the best to you. We cannot dictate on who you roll for or what you should spend gems on, so do not take our advice or others advice as ultimatum. To play the same account on multiple devices, you must reinstall the game/clear cache and transfer the data by Google Play Games or Facebook each time you want to switch devices. 3a.) Rolling for weapons could possibly be called the true whale portion of the game. The most desirable weapons to roll for are weapons with Elemental effects, such as “imbues attacks with Lightning element.” As most bosses in this game have an elemental weakness, this can greatly increase your damage output. As for other effects that come on weapons, the factors vary from dealing more damage against a certain race (such as Humanoids or Machines), affecting your stats (i.e. ATK +15%, INT +15%), or reduced AP cost on skills. To see the weapons currently within the game, look under the Resources tab in the discord. 3b.) 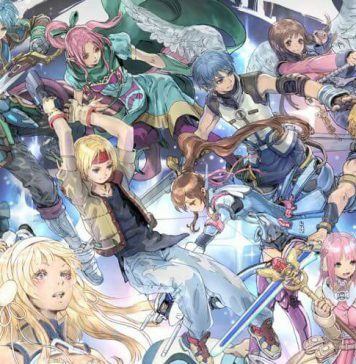 Pulling on the regular weapon banners is not considered very worthwhile, as in the future there will be featured banners for weapons that can either guarantee you at least one of the new weapons or have a “step-up” banner, where you get one of the new weapons every three 10x pulls. 4a.) As an alternate currency than gems for pulling characters and weapons, there are tickets that can be used that only consume the ticket. 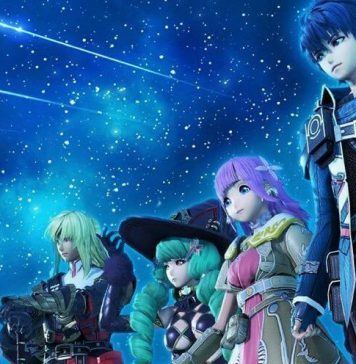 The most common tickets that you’ll see, as well as the most desirable tickets, are the 4-5 star character tickets, the 5-star character ticket, the 5-star ACE tickets, and the 5-star weapon tickets. 4b.) Tickets pull from a unique banner that has all current characters or weapons available to be pulled from gacha. The ideal units for character tickets you want to draw are 5 star units, and during limited banners for characters, there is also a chance that you can pull them from a 4-5/5-star/5-star ACE ticket as they are added into the normal gacha pool for the duration of the limited banner. Do keep in mind that in the future, they will be removed from the gacha pool and will therefore be unable to be pulled from tickets or from normal/event banners. There are two varieties of 5-star units: 5-star and 5-star ACE. The two glaring differences about these seemingly similar units are 5-stars require less materials to level up and limit break, but in contrast, 5-star ACE units generally have higher base stats and require more materials than their non-ACE counterparts. While 5-star units are not horrible to have by any means, the general desired units to have are the 5-star ACE units. These units stay relevant for much longer than their non-ACE counterparts. An easy way to check in-game if a unit is an ACE unit is to check their “Limit Break” requirements and see if they require 2 Large Limit Break Stones, 10 Medium Limit Break Stones, or 50 Small Limit Break Stones. 6a.) Leveling your character increases your character’s stats slightly each level. Since leveling can be very slow and take a long period of time just running content normally, there is an alternate way to give characters EXP. This mechanic is called Enhancing. This mechanic requires Prisms that you acquire by running normal content, exchange in Event Item Shops, or enhancement missions that rotate daily throughout the week (see section 6b.) and infuses them into your character, consuming both the Prisms and a set amount of fol of 3000 fol per Prism regardless of Prism rank. Prisms aspected of a certain color give the associated role bonus exp when infusing them into your character (Attacker = Red Prisms, Sharpshooter = Blue Prisms, etc). 3-Star Units: 15 Small Crystals AND 3 Medium Crystals. 4-Star Units: 50 Small Crystals AND 15 Medium Crystals AND 3 Large Crystals. 5-Star Units (non-ACE): 50 Medium Crystals AND 15 Large Crystals AND 3 Rainbow Crystals. 5-Star Units (ACE): 100 Medium Crystals AND 30 Large Crystals AND 6 Rainbow Crystals. These augment materials can be obtained by running daily augment missions that rotate throughout the week. 6ca.) Limit Breaking (commonly referred to as LB) is a base-stat increasing mechanic that occurs in a few ways. The first way is by pulling a duplicate or “dupe” of a character you have previously pulled before. The amount of times a character can be LB’d depends on the unit’s base rarity, not augmented rarity. 3-star units are able to be LB’d to LB3, which is referred to as their Max Limit Break (MLB), 4-star units are able to be raised to LB5, and 5-stars are able to be raised to LB10. The total amount of stat increase, regardless of rarity, is a 75% net stat gain. If you pull a duplicate of a character that is already MLB’d, you are rewarded with a Limit Break Stone instead. 3-star MLB Dupes give Small LB Stones, 4-star MLB Dupes give Medium LB Stones, and 5-star MLB Dupes give Large LB Stones. Limit Break Stones are a Limit Break exclusive currency that, after accruing the appropriate amount required for each unit’s base rarity, can be exchanged for an LB level for that unit. 6cb.) There are ways to acquire Limit Break Stones outside of gacha. For Small Limit Break stones, they are able to be farmed from any story mission currently available, but the best story mission to farm is generally the last boss node of the most recent planet. Medium Limit Break Stones are found in the Friend Coin Support Box as well as Event Gacha Boxes, alongside Small Limit Break Stones. Large Limit Break Stones are commonly found inside of Event Item Exchanges in limited amounts. HP = Hit Points. When this reaches zero, you’re dead. 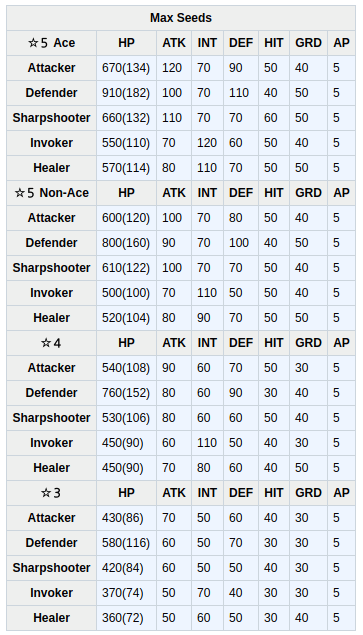 DEF = Defense: Defensive stat for both ATK and INT-based hits. Ignored completely by criticals. HIT = Hit: Influences how effectively attacks pierce an enemy’s guard, and has a slight influence on base crit rate. GRD = Guard: Influences how much guarding reduces damage taken. Also reduces the chance of taking critical hits. AP = Ability Points: Consumed by skills as well as dashes. Regens slowly while walking or Charge Assaulting, rapidly while standing still, and is also restored by using normal attacks. 1a.) On Loan is this game’s version of the support system. The character set to your Loan will be available for rent for other players when they do solo content as their fourth party member. By having other people rent your On Loan character, you will get Support Coins used for the Support Box gacha, up to a maximum of 750 coins each day. 1b.) You are able to change your On Loan character by going to your party list and longpressing on the character you want to bring up their stat page. From there, you can choose to set them On Loan by pressing on the button on the bottom right that says “On Loan.” When pressed, the character page for units will reflect what character is On Loan. While your character is On Loan, you can still play that character normally as you would any character not On Loan. Go to the Sync Data settings in the settings and choose either Facebook or Google Play to sync to (it is recommended you sync to both). If you choose to sync to only Google Play, you will need to be on the same Google Play account for both devices and the device on which you want to transfer the data must have a fresh install. Then, from the main screen, choose “Transfer Data.” This should transfer the data from the old device to the new device and leave the old device with no account for SOA on it, as if it were a fresh install. Multiplayer is unlocked by clearing Mission 1-23. 4a.) Login bonuses reset every day at 4:00 a.m. PT (11:00 UTC). The list of login bonus rewards resets once you receive all the rewards. The content and duration of the standard login are subject to change. 4b.) Weekly Reset happens on Tuesdays at 4 a.m. PT (11:00 UTC). There are 39 Starter Missions in total, and they descend as you complete them. 6a.) Barrier Breakers are a form of currency that are used to unlock nodes that are placed throughout the story mission boards. These missions usually have a “First Time Cleared” bonus associated with them, which can vary from weapons to a lump sum of gems. 6b.) You can obtain Barrier Breakers as some first time clear rewards from certain boss nodes as well as many event shops. Gems are obtained in a few ways. The main way is by running Maze of Tribulations and exchanging the coins you obtain from it for gems in the MoT Item Exchange Shop. Outside of this, you can get gems from login bonus rewards, first time story node clears, and occasionally from Barrier Breaker first time clears. Also, the first 100 people you’ve never played with in multiplayer will give you a set amount of gems. The first 20 will give you 500 gems each, and the remaining 80 will give 100 gems each, which nets to a total of 18000 gems. Uncapping, but generally still referred to as “Limit Breaking,” weapons and accessories is very simple. All you must have is a duplicate of the weapon/accessory and then Enhance said item with the duplicate of itself. This raises the weapon/accessory level cap by two per level, up to Limit Break 5 LVL cap 20. For weapons, after so many Limit Breaks, you might get a Limit Break Factor, which adds another bonus status effect to the weapon. Accessories, on the other hand, have no Limit Break Factors. 10a.) Transmute is a mechanic that takes a weapon and upgrades it to a random weapon inside of it’s category of the next tier of rarity (i.e. A 1-star gun will be transmuted into a 2-star gun, but never a weapon that is not a 2-star gun.) See also #for-beginners for video guide. 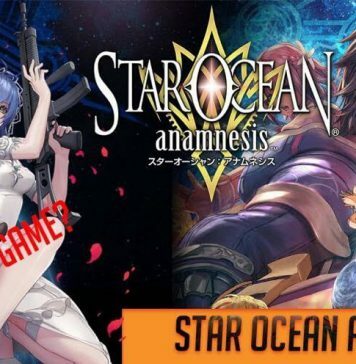 You might want to take a look at Star Ocean: Anamnesis weapons list for current progress in GL version as well. 11a.) From the Bridge’s main page, press on Connections and then press View Following/Unfollow. That is the list of all the people you are currently following. 11b.) You can see if someone is following you when selecting a Loan unit for content or sometimes on clear screens for Multiplayer missions, but there is no full list of documented people for who follow you. 1a.) You can join any content for multiplayer with the exclusion of the Maze of Tribulations. To do so, all you must do is press the purple “Join Forces with Other Explorers for any/this Event” or press on a mission and click the purple “Multiplayer” button. From there, you can create a lobby, join a lobby, or join a person’s lobby that is ID locked for private runs. There are two categories of people who participate in Multiplayer content: Hosts and Leeches. Hosts create the lobby and hosting uses Stamina, but they receive increased drops in the results screen. Leeches are people who join the host’s lobby. Leeching costs no stamina, but you sacrifice 1-3 drops, which varies depending on the content being played and doesn’t receive the bonus drops that the host receives, no EXP will be earned from joining multiplayer matches, and if you haven’t cleared the content solo or as host, you will not receive the First Time Clear bonus from the mission. 1aa.) When creating a lobby, you’ll be redirected to the Select Party Screen, where the first character will be illuminated and the others will be darkened. This is the main character you will control in battle, so ensure it is the character you wish to play. You can swap what Party you use by swiping on the party, rotating through Party 1 through Party 5. This allows for 5 load-outs. For any further customization before opening the lobby, go to Character Settings, which is the Character page from the Bridge. When you are all ready, hit confirm! 1ab.) This will bring you to the Create Lobby Screen. From here, you can make the Lobby Public or Private, which you can toggle by pressing on “Lobby: Public,” adjust your Recruiter’s Comment, make it so that only people who mutually follow you can join, and tap on the “Any Role” character slots to lock it to any of the 5 roles, Attacker/Sharpshooter/Invoker/Defender/Healer. Of course, you can always leave it unrestricted with “Any Role.” When you’re ready, hit Recruit to start the matchmaking process! 1ac.) After that, you’ll be at the Recruiting Members Screen. You’ll see your Lobby ID, which you must share to have people join your private lobby. Luckily, the “Copy to Clipboard” button will copy that ID right to your phone’s clipboard, so you can easily paste it anywhere. 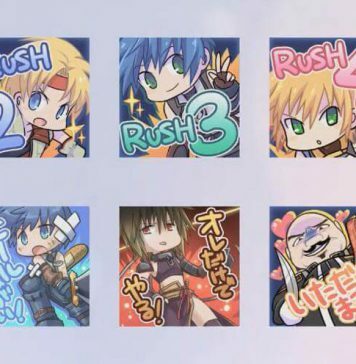 You can also use your Stamps, such as Myuria’s “Welcome” Stamp, for people who join the room to see. Use this to communicate with them both inside the Recruiting Members Screen and in battle! When people join, you can long-press on them to see what they are using or, if you don’t desire that member in the party, you can press the Dismiss button to remove them from the lobby (Be nice! Content can be cleared with any party if the players are skillful enough.) If you made a Lobby private, you can also swap it to Public inside this screen by pressing on the “Lobby: Private” button. 1bb.) Joining a private lobby that is ID locked is simple. Press the “Search with Lobby ID” button and go through the Select Party Screen with your desired character. That will bring you to the “Input Lobby ID” screen, where you input the Private Lobby ID that you wish to join. After you input it, it will bring you to a similar View Lobbies Screen, where you have to press on the open spot to join. From there, you’ll be put into the private party and be set to go! In battle, combat functions much similar to normal solo content. However, if you’re in a full party of joined players, you can only control the one you initially selected at the Party Select Screen. When you start a Multiplayer mission with less than 4 players, the remaining spots will be filled with the next character that was darkened out in the Party Select Screen, starting with the host. 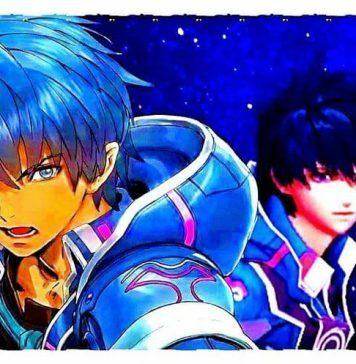 If there’s two players in the multiplayer mission, then the selected Character and the next character in the list will be put in battle for both the Host and the Guest and they will be controlled by AI. You will still be able to switch to the AI controlled character that is labeled as Host if you are the host, or labeled as Guest if you are the Guest. If there are three players in a multiplayer lobby, it will only take the host’s second character in the Party Select Screen. You cannot start a multiplayer mission if no player has joined your lobby. You will be directed towards the mission result screen. The way drops work in this game is relatively simple. Rookie bonus and normal drops are shared throughout the party with leeches having reduced normal drop count, whereas Host drops are host exclusive. You can think of the Leeches’ result page as a watered down Host result page: The Rookie bonus and normal drops will always be identical to the Host’s result page, but there will be less normal drops on the Leeches’ page as that is one of the penalties of joining multiplayer matches. Cancel Bonus is the game’s main combat mechanic which involves chaining attacks and skills. When you use a Normal Attack followed by a Battle Skill or a Battle Skill followed by a different Battle Skill, you receive a Cancel Bonus, which increases the damage of the Battle Skill. The Cancel Bonus increments are as follows: 100% (base) -> 150% -> 200% -> 300%. Cancel bonus won’t increase if you use the same skill twice in a row, but it won’t reset either, so you will want to build your cancel bonus to 300% and spam the strongest skill you have. Guarding is a mechanic that is never outright explained in combat. When your character is stationary and is facing the enemy, you will guard against attacks that hit you. The GRD stat affects how much damage is received while Guarding, and can be reduced anywhere from 30% to 70% depending on the GRD stat. Guarding does not work during movement, and there is some end-lag during the animation post-guard that varies by weapon-type, which affects when you can regain movement or guard against an attack again. Dodging is performed by quickly swiping in the desired direction of the dodge. During part of the dodge animation, there are invulnerability frames that prevent you from taking damage, similar to the concept of a perfect dodge or a “just dodge.” Dodging costs 20 AP, and it is impossible to dodge at 0 AP. While it does cost 20 AP to dodge, you are able to dodge as long as you are not at 0 AP. Charge Assaults, commonly referred to as CA, is performed by long-pressing on a Battle Skill and waiting for it to glow green after half a second. When you release your finger from the skill, you will dash to the Battle Skill’s intended range (either Long-range or Short-range) before you perform the skill. Charge Assaults don’t cost any extra AP, and you even regen AP slightly during the CA’s dash animation. To cancel the CA mid-animation, all you must do is walk, so it is possible to use it for free movement once you get used to it. Similar to cancelling skills, the CA will skip some of the start-up animation of most skills. Invokers can CA the first spell in their Battle Skill chain to give it -100% cast time. Use CA with caution, as any attacks that hit you during the dash or attack animation are guaranteed to cause Critical Damage. 6a.) When an enemy is hit with elemental attacks enough times, “Element Burst” flashes across the screen and the boss will be stunned. Stun length varies by enemy and wears off quickly if the enemy isn’t being attacked, but can extend over 20 seconds with a constant onslaught of attacks in some fights. Stunned enemies can be knocked around and launched by attacks; take care not to disrupt the rest of the party and accidentally waste the Element Burst. It is also not advised to use your Rush while Elements Burst is active, as this resets the Element Burst on the enemy and wastes the opportunity for safe damage. 6b.) The enemy’s weakness element(s) contribute twice as much to stun as other elements do. Non-elemental attacks contribute nothing to the accumulation of Element Burst generation on an enemy (this is a major factor in why elemental weapons are extremely valuable.) On top of this, the contribution towards Element Burst depends not on the damage of the skill, but instead the multiplier of the skill used (i.e. A LVL1 Fidel and a LVL70 Fidel using Double Slash with an elemental weapon will both contribute the same amount towards stun.) There are also some characters that increase Stun Rate, which heavily influences Element Burst’s frequency of activation. Poison: Loss of HP every few seconds. Freeze: Move speed is reduced drastically. The next non-ice hit taken is a guaranteed crit and removes Freeze. Silence: Unable to use skills or rush. Curse: Loss of HP every few seconds. HP loss flinches the victim. Surprise battles are randomly occuring battles that can happen after the first battle in any mission. If you get this bonus round in story content, you get extra random drops at the end, and if you get them in Event mission content, you will get extra Coin currency, usually in absurdly high amounts, at the end of the mission. Take advantage of this! Generally, the best place to farm for any of these three is on the last boss node of the most recent planet. All weapons and Small Limit Break Stones are able to drop from any story node, but the last boss node provides the most efficent use of stamina used/exp earned per run. There may even be people hosting these runs in multiplayer for people who just want to farm weapons or Small Limit Break Stones, so try and see if you can join one! Since the characters are only really there for their talents, it isn’t necessary to upgrade them past 4* if you don’t want to. There are also accessories that provide 50% resistance to specific statuses, but as they aren’t reliable for preventing statuses and only cover for one character, they aren’t recommended. 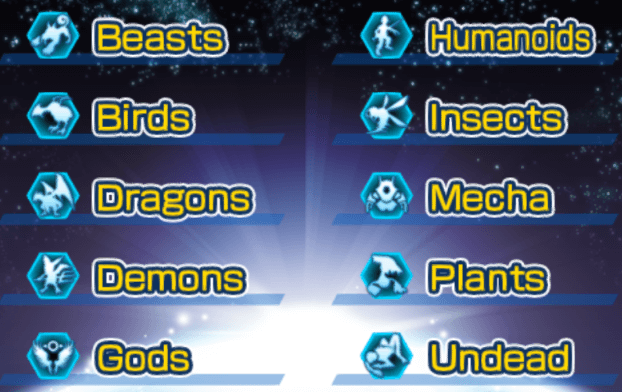 The items that should take the most prioritization are: AP Seeds, Character/Weapon Tickets, Event-specific Accessories, Event Weapons, and Limit Break Stones. After that, the rest is subjective to what you need or want to grind for. This achievement was incorrectly translated. What you need to do is Transmute any weapon and the achievement will be met. Characters later implemented in the game are usually accompanied by an event, and in turn, an item exchange shop. In these shops, there is a weapon that is great to use for the associated character and are usually able to be max LB’d from the shop itself, possibly adding a factor onto the weapon. Overall, yes, it is a good idea to get the weapons from the event shop. Talents/Factors that fall under Category D will stack with A, B, and C, with the exception of non-stats (i.e. Crit, AP Cost Down). Talents/Factors that also fall within the Category D will conflict with each other. When two of these buffs overlap, they will run on separate timers, taking the greater buff for the duration of the overlap. Non-stats will never stack with identical buffs within any of the previous Categories defined. If there are non-stat buffs that are activated by Category C or D, then the buffs will run on separate timers and the buff of greater value is prioritized.